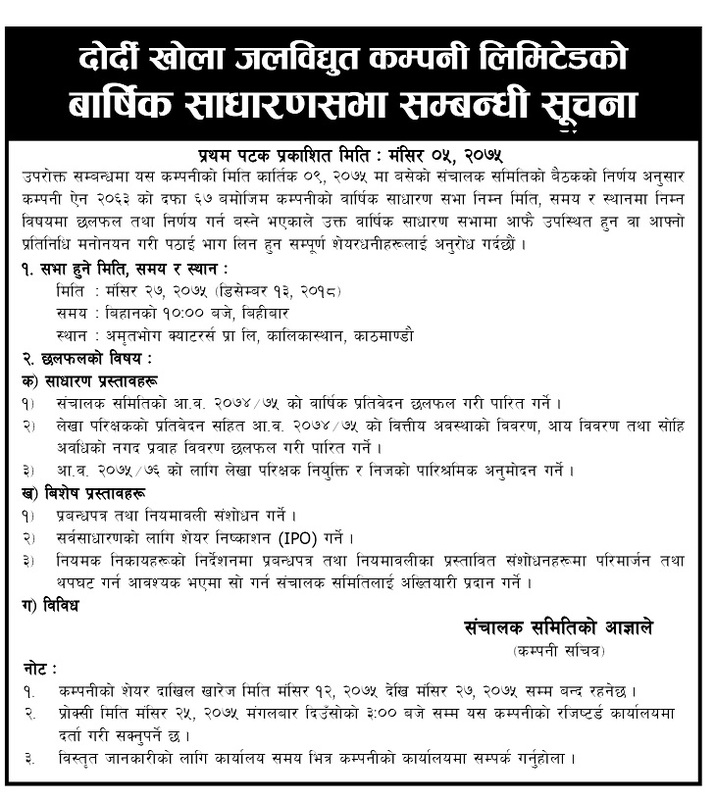 Dordi Khola Jal Bidyut Co. Ltd.
Dordi Khola Jal Bidyut Company Ltd (DKJBCL), is a public company incorporated on Falgun 14, 2066 (February 26, 2010) as per Companies Act 2063, Nepal with the objective to develop and invest in hydropower projects. It is currently developing 12 MW Dordi-1 Hydroelectric Project in Lamjung District and owns its generation license. The project is located in Dordi Gaupalika-6, Lamjung. Its registered office is located at Kathmandu -11, Bluestar Complex, Tripureshor. 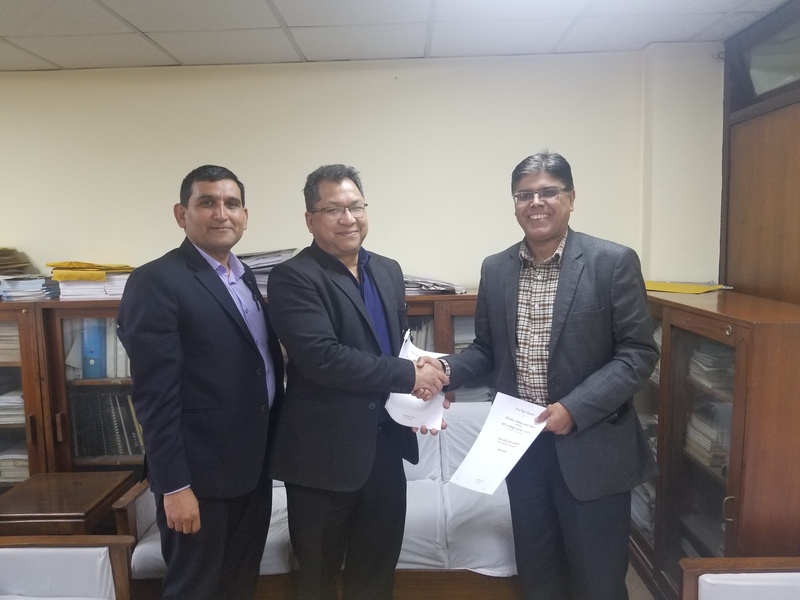 Lamjung Electricity Development Company Limited (LEDCO) holds 84.95% ownership in the company. AGM Notice of Dordi Khola Jal Bidyut Company Limited. Lamjung Electricity Dev. Co. Ltd.